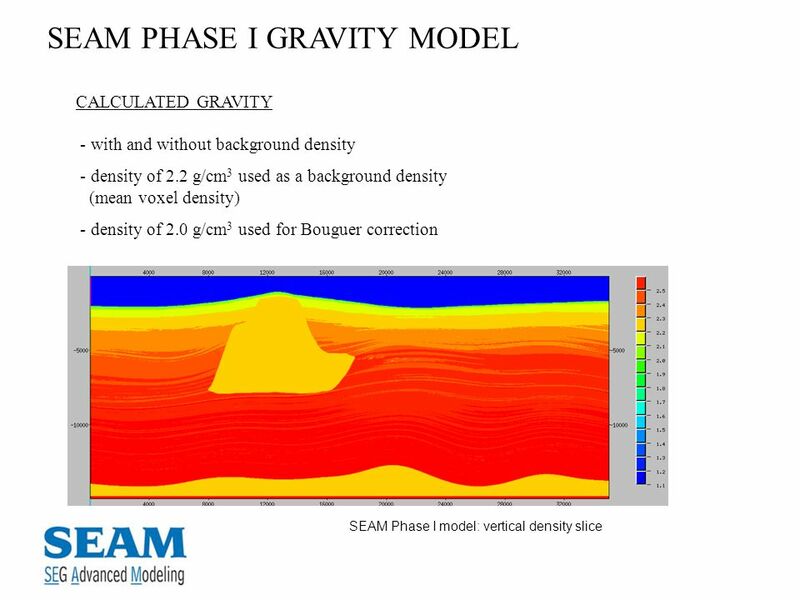 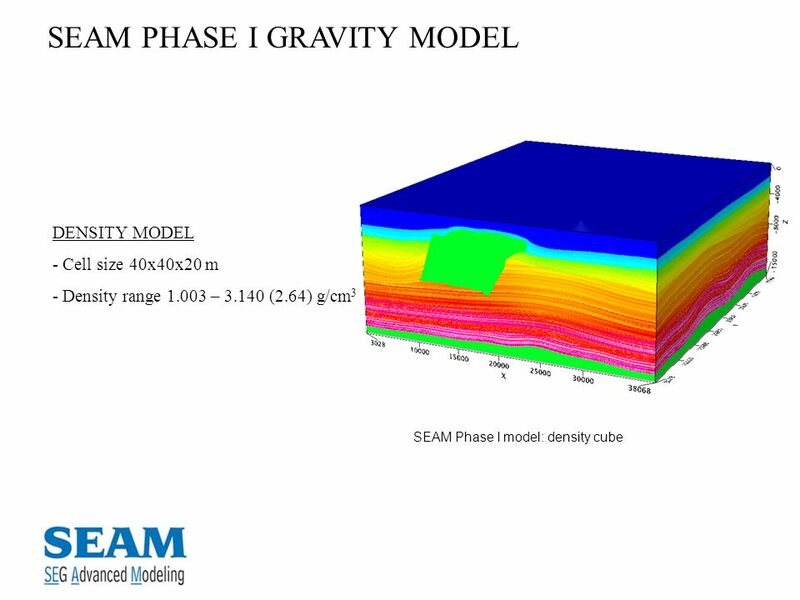 SEAM PHASE I GRAVITY Neda Bundalo. 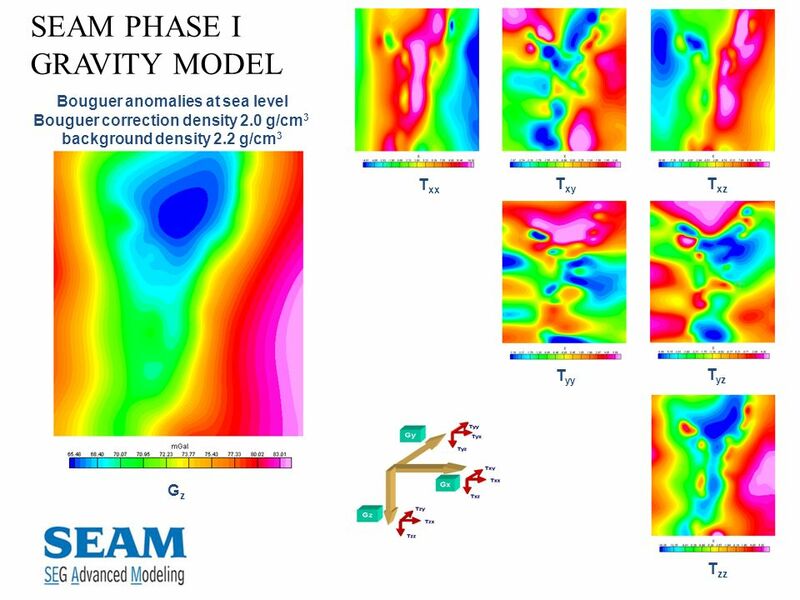 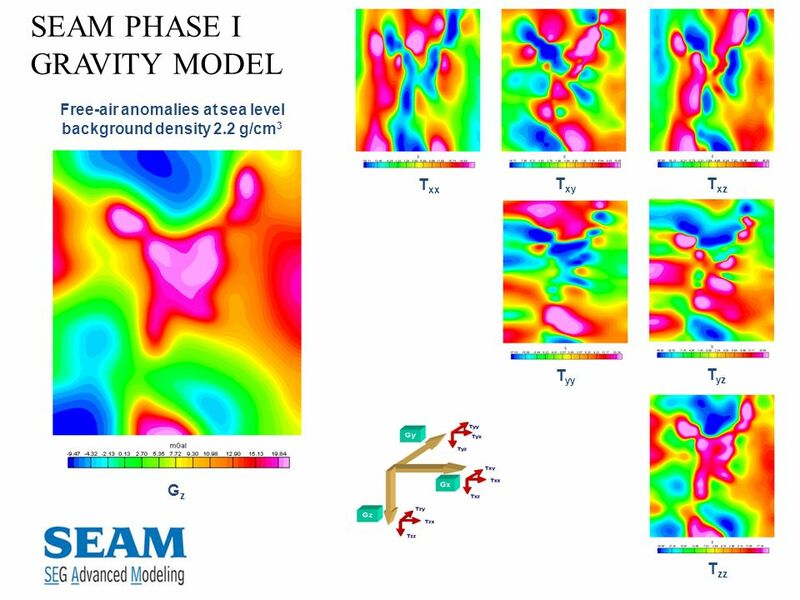 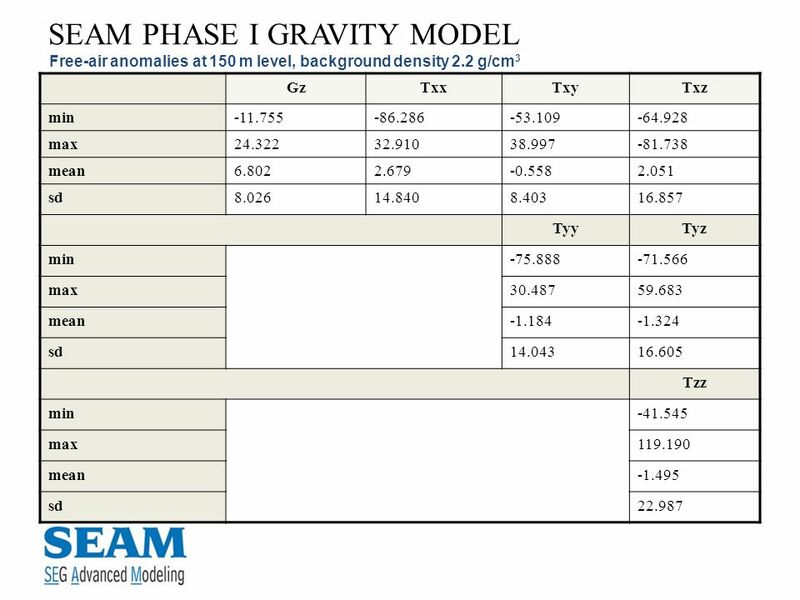 CALCULATED GRAVITY Gravity (vertical component) Gz and six tensor components (gradients) Txx, Txy, Txz, Tyy, Tyz, Tzz, - GMSYS 3D (Geosoft) and 3MOD (LCT Fugro), - free-air and Bouguer anomalies on two calculation levels: 0 m for marine and 150 m for airborne data, - recommended data storage formats: Geosoft grid and ascii xyzg. 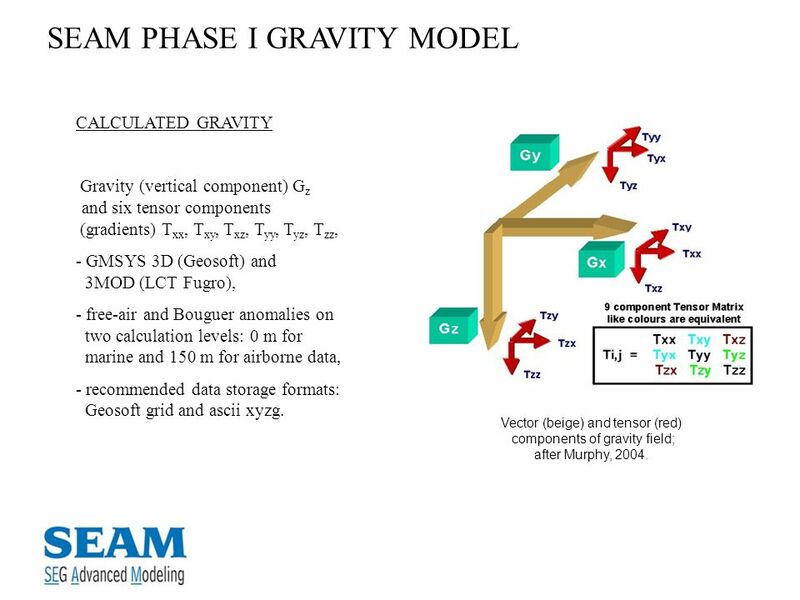 Vector (beige) and tensor (red) components of gravity field; after Murphy, 2004. 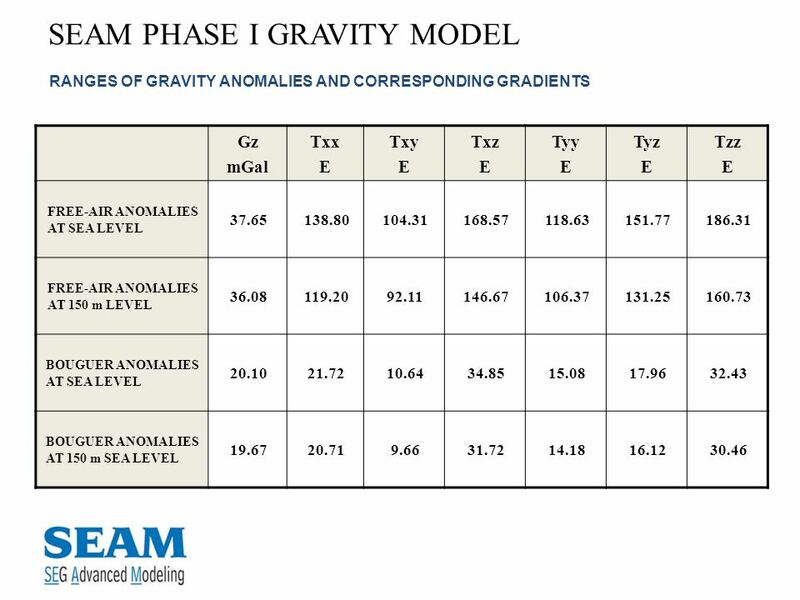 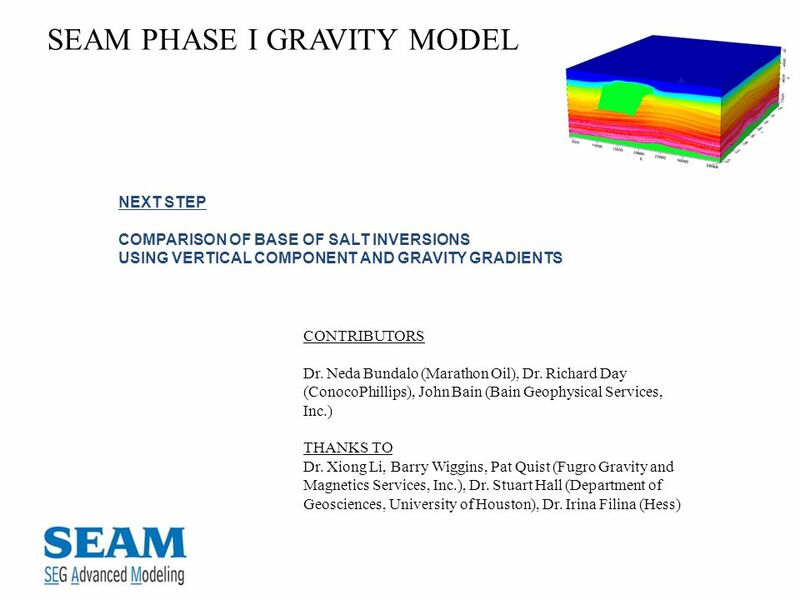 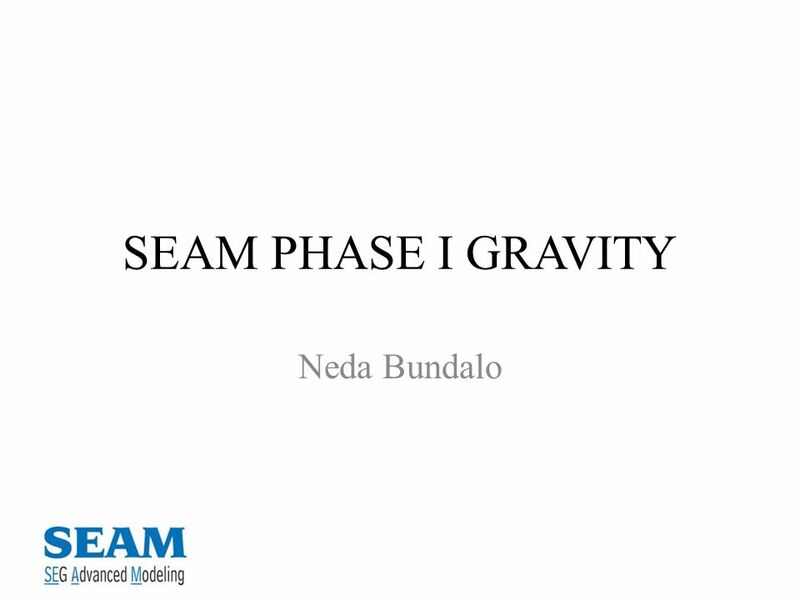 Download ppt "SEAM PHASE I GRAVITY Neda Bundalo."